Deborah Krieger writes about art and culture. I realized recently that I had committed a travesty of an art-enthusiast crime: while I've lived in Los Angeles for nearly all of my life, it had been far too long since I had visited the Norton Simon Museum in Pasadena. With the aid of Los Angeles' train system, the use of which constitutes an adventure in and of itself, I made it to Pasadena and eventually to the museum, eager to take in the renowned collection and to view the traveling exhibits on display. While the museum is well-known for its collection of Impressionist, Post-Impressionist and Southeast Asian art, what truly stood out for me during my visit to the Norton Simon was a small show, tucked away in a niche-like room off one of the main halls. 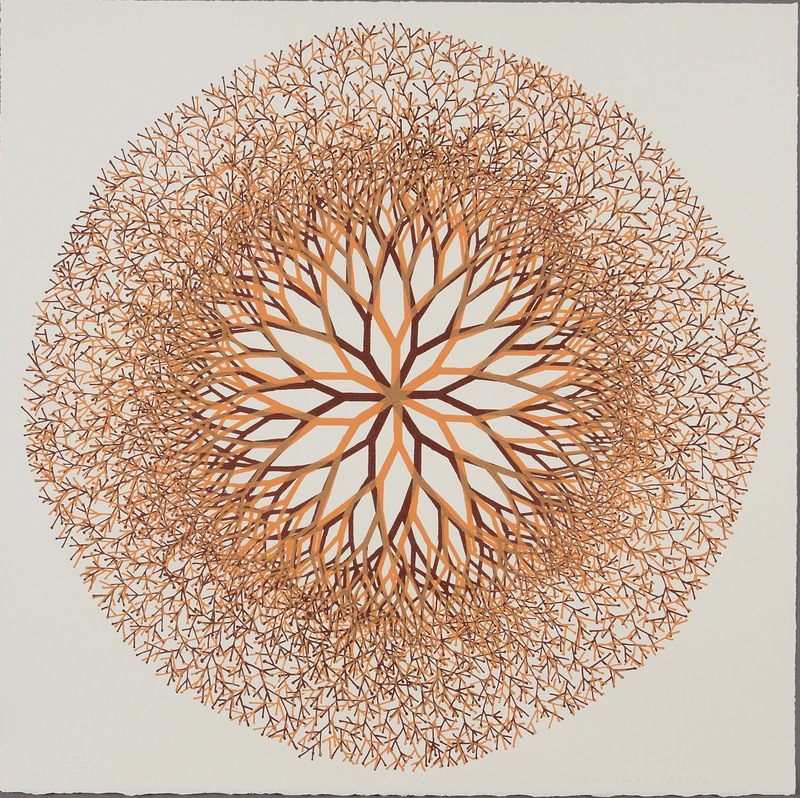 Home and Away: The Printed Works of Ruth Asawa, on view until January 19th, is a small collection of lithographs. 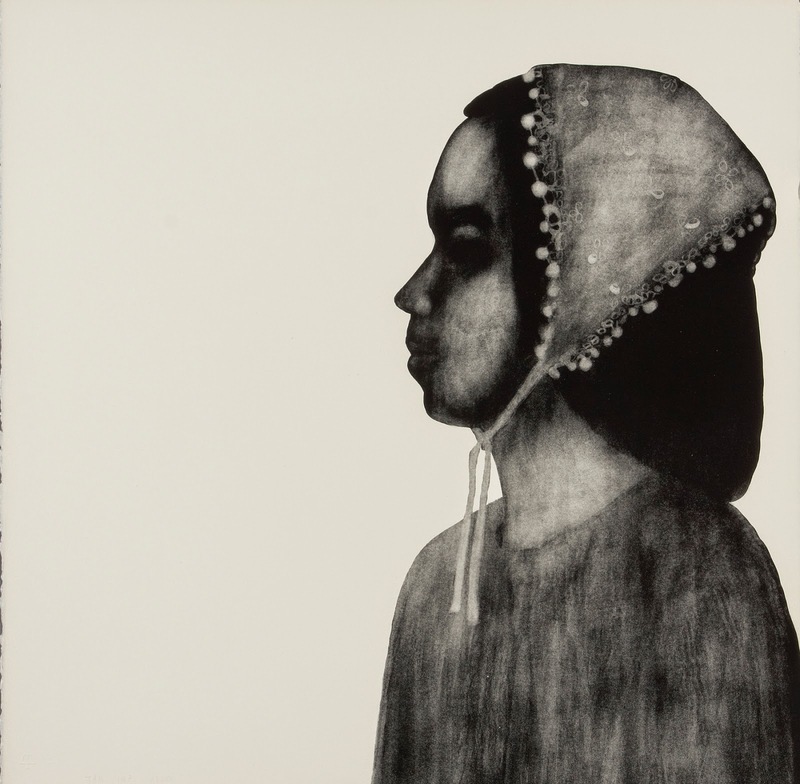 While Asawa is best known for her public fountains and wire sculpture, she also was a fellow at the Tamarind Lithography Workshop in Los Angeles in 1965, where she created the works in Home and Away. The exhibition comprises several sets of lithographs, each addressing a different theme or subject matter. The first set, "Flowers", comprises twelve works made over a period of two weeks that all illustrate different kinds of flowers, using the medium to different effects in each print. The images range from spare black linework of flowers to soft, colorful ink washes and forms. Flowers I, the first work in the series, incorporates the word "flower" into its composition, interspersing the letters with the carefully outlined leaves and petals. 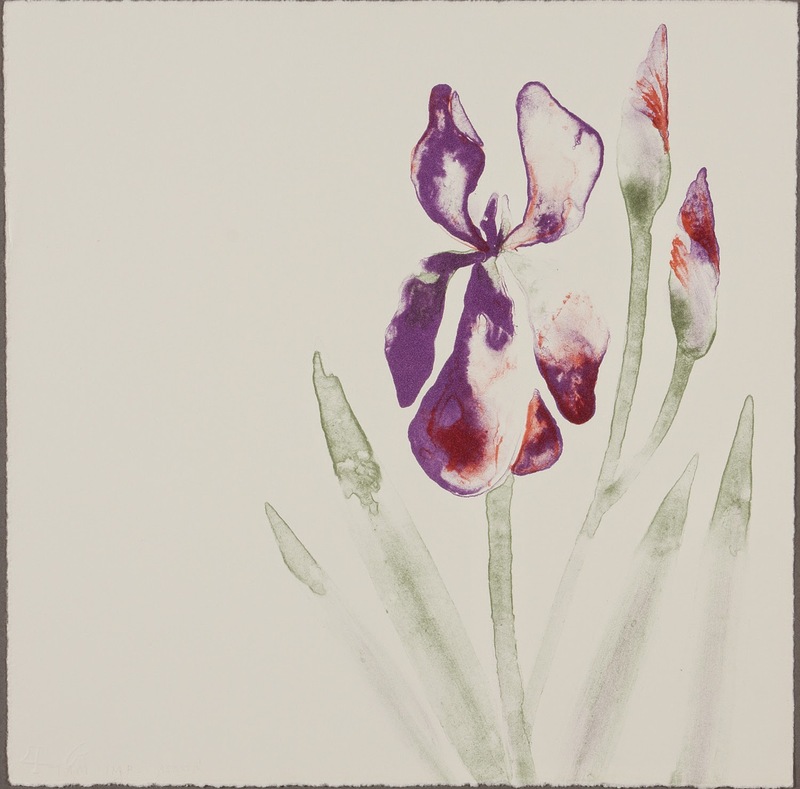 Flowers III evokes a charcoal drawing, while Flowers V, VI, VII, and VIII are reminiscent of watercolors. 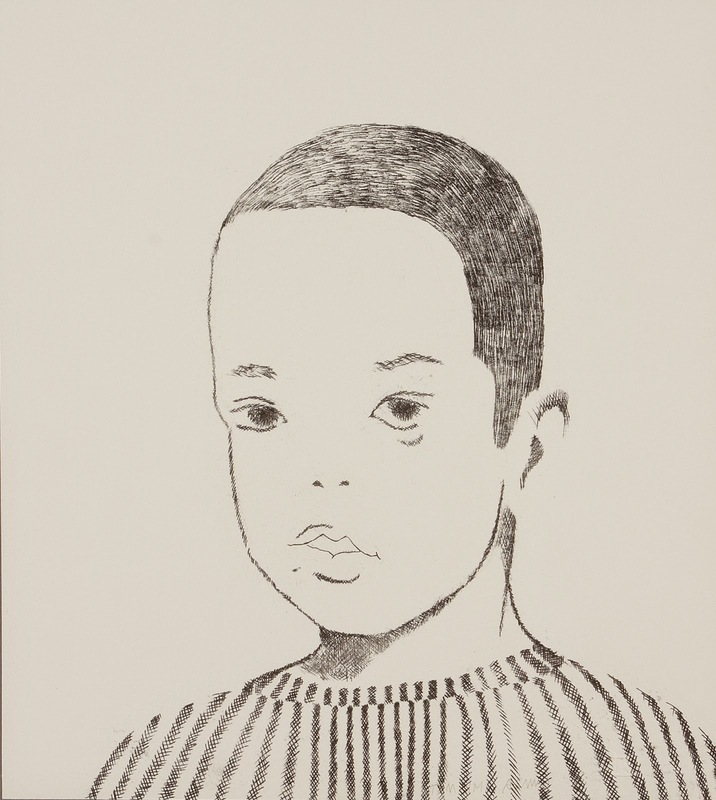 The next suite of works is a collection of portraits of Asawa's six children, each rendered in a different style. The first work, Xavier, is simply rendered using lines and spare, light shading; the young boy looks out at the viewer with large, petulant eyes, conveying a sense of defined character. Aiko is also particularly striking; the girl is depicted in profile and appears to be backlit, the ink smoky and dim and almost ghostly and sinister. Hudson is appears to be loosely drawn, with clean, pen-like linework, while Henry and Adam, which portrays Asawa's son Adam with his beloved dog Henry, has a texture reminiscent of crayon, with a lovely sense of intimacy. Babies appears to be a series of studies of Asawa's youngest daughter Addie, with a sketchy, unfinished quality and several renderings of hands and angles of the figure on the same sheet, while Paul is cartoonish and abstracted, with careful, cautious linework and amusing puppet figures sharing the composition with the boy. The next set of works are two prints depicting Asawka's father Umakichi that are in a haunted, blurry black-and-white; the second print of Umakichi is especially eerie, with the man's gray skin and the keen use of sfumato to partially obscure the figure. The last set of works is perhaps the most dazzling in the exhibition, called Desert Flower, which depicts the aforementioned subject matter in a radial manner that hearkens back to the mandala form. The first work in this series is especially luminous, with a glowing orange-gold background and white center behind the exquisitely outlined flower, while Desert II is textured in a way that calls to mind the form of a dandelion before it loses its seeds to the wind. While this Home and Away: The Printed Works of Ruth Asawa closes soon, it is definitely worth a visit, as is the Norton Simon Museum as a whole. Make an afternoon of it: stroll throughout the galleries and marvel at the permanent collection, which features vivid works by Vincent van Gogh and a good number of Degas' dancers, including one of Degas' beloved Little Dancer sculptures. Get lost amidst Indian Bodhisattvas and Buddhas on the lower level. Meander around the beautiful sculpture garden featuring works by Henry Moore, Auguste Rodin, and Aristide Maillol, and take in the lily pond and beautiful foliage. Love this shout out to the local "scene"!